The emergence of blended (b-)learning approaches clearly highlights a pressing need for higher education institutions to embrace innovation and change. However, the process of (sociocultural) innovation should be driven by people and pedagogical concepts that are related with new technological developments in a meaningful way for the purpose of adding value to teaching and learning. From this holistic perspective, definitions and issues directly related with b-learning, Information and Communication Technology (ICT) use, pedagogical planning, course management system, Learning Management Systems (LMS) (such as Moodle), usability, accessibility, inclusivity and adaptability are critically discussed in this chapter. In addition, some LMS trends that refer to personalized-, mobile-, systemic-learning conclude the chapter. The “knowledge society” can be seen as a collectivity of multiple learning opportunities. Contemporary educational environments require renewed attitudes and competences from teachers and learners in order to avoid the traditional approach where the teacher is seen as the unique source of information/knowledge and learners are seen as passive receivers. The effectiveness of education systems and online learning is based on the ability to adapt the system to the different teaching-learning scenarios. At the same time, online communities across a variety of platforms are considered privileged places of learning, which, due to their interactive/collaborative nature, enable information share among several users, and motivate new people to use Information and Communication Technology (ICT) (Ala-Mutka et al., 2008). Technical area, i.e., the online teacher implements efficient technologies, focusing the attention of the student to the contents (online activities), rather than to the actual ICT that is used. Overall, the spectrum of different types of online learning can be seen as a continuum from Face-to-Face (F2F) to fully online learning. 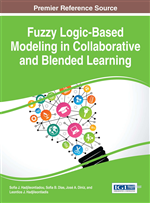 In particular, blended (b-)learning typically involves combining aspects of traditional F2F activity with computer-mediated support. In general, blended approaches attempt to thoughtfully “blend” time-constrained and place-dependent, synchronous activities, with time-independent/flexible and asynchronous activities. Through a blended methodology, teachers and learners are encouraged to work together to improve the quality of teaching and learning. Online learning platforms, also known as Course Management Systems (CMSs), are being widely used for educational delivery, in various ways, such as online testing, course discussion, assignment submission and grading, varying in functionality, ease of use and cost. A few, such as LMS Moodle, are open source, but others, such as LMS Blackboard, are proprietary. According to Katz (2003), CMSs are among the most significant technologies that have been introduced in the delivery of education. Simultaneously, investment in CMS has increased abruptly (Williams & Williams, 2010); however, research into its effectiveness is in a premature stage. Unlike single user systems (e.g., word processors, spreadsheets), CMSs have the ability to connect multiple users together. In this way, they not only handle with individual communications/interactions, but also support collaboration through sharing of information, managing group information, and asynchronous/synchronous discussions. In fact, research on CMS adoption, implementation, use, impact and benefits are truly necessary in order to develop recommendations for stakeholders. These issues are explored in details in the succeeding sections.